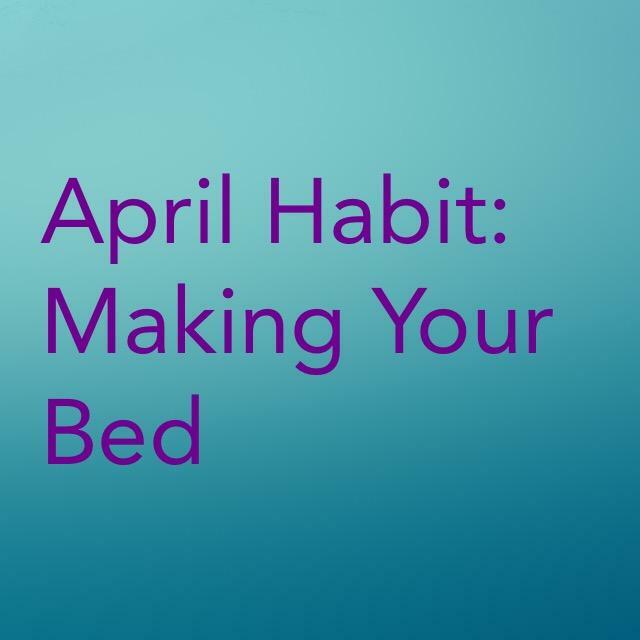 I love this month’s habit Making my Bed. For me, the bed being made is my shiny sink. When I make my bed, it’s like my mind says OK, now it’s time to get things DONE around here. One thing leads to another and pretty soon the whole bedroom looks nice and tidy because why would I leave those dirty kleenex’s sitting on the night stand, and shouldn’t those books be put away instead of stacked up there…you get the picture. Today for my ‘redecorating’ I took a needlepoint that reads “Love spoken here” from the bedroom, and traded it with a cross stitched hummingbird I’d done for my mom and gotten back when she died. It was hanging in the front entry, so I ‘redecorated’ TWO spaces at the same time! I’m enjoying using what I HAVE instead of going out to buy MORE (cluttering my space) and these cross stitch and needlepoint works are my own work, so I have my own personality in my home. Now it’s time for me to eat lunch and have a shower so that I can get on with my Weekly Home Blessing. Thanks for your emails, I do at times find it overwhelming to read them all but then I remember that I don’t HAVE to…I can just delete them if I want, and read the ones that stand out to me. Those are the ones generally that are going to speak to me anyway. Progress, not perfection. I love this statement, it got me moving forward years ago when I joined your site, and it is still keeping me from returning to the CHAOS I felt in my soul. Thanks for all the work you go to in order that we may FLY. 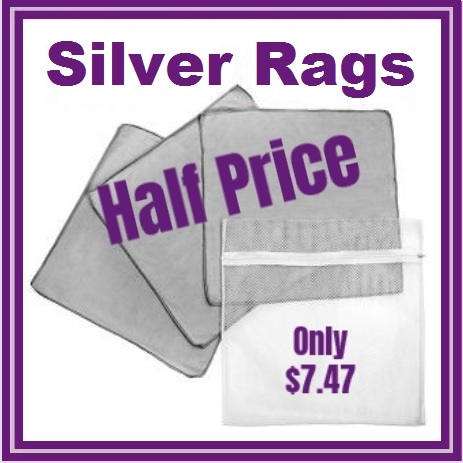 Silver Rags are Half Price! This Sale Ends on Wednesday! Our FlyLady Calendar will help you get organized and get rid of the CHAOS! Now only $10.00! This entry was posted in Habit of the Month and tagged babysteps, behavior modification, flylady, get organized, Habit of the Month, routines, shiny sink. Bookmark the permalink.